Iggy Azalea Name-Checks Eminem and T.I. in AMA Acceptance Speech – Iggy Azalea Flames! 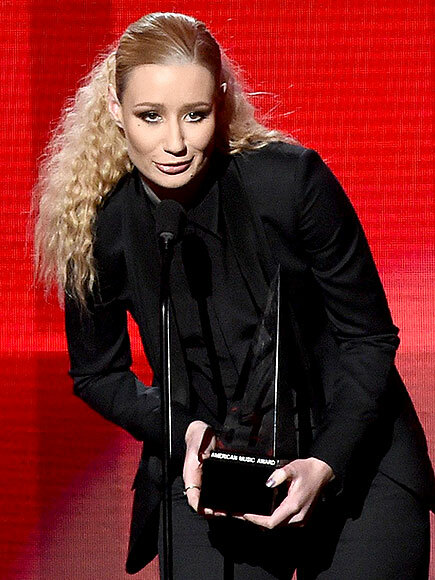 Iggy Azalea picked up her first music award ever at the AMAs Sunday, for Best Rap/Hip-Hop Album. In a brief, emotional acceptance speech, Azalea thanked her mentor, T.I., after mentioning how meaningful it was for her to have her first major music award be for hip-hop. ← Iggy Azalea (AP Images) Will Iggy win top honor at American Music Awards?